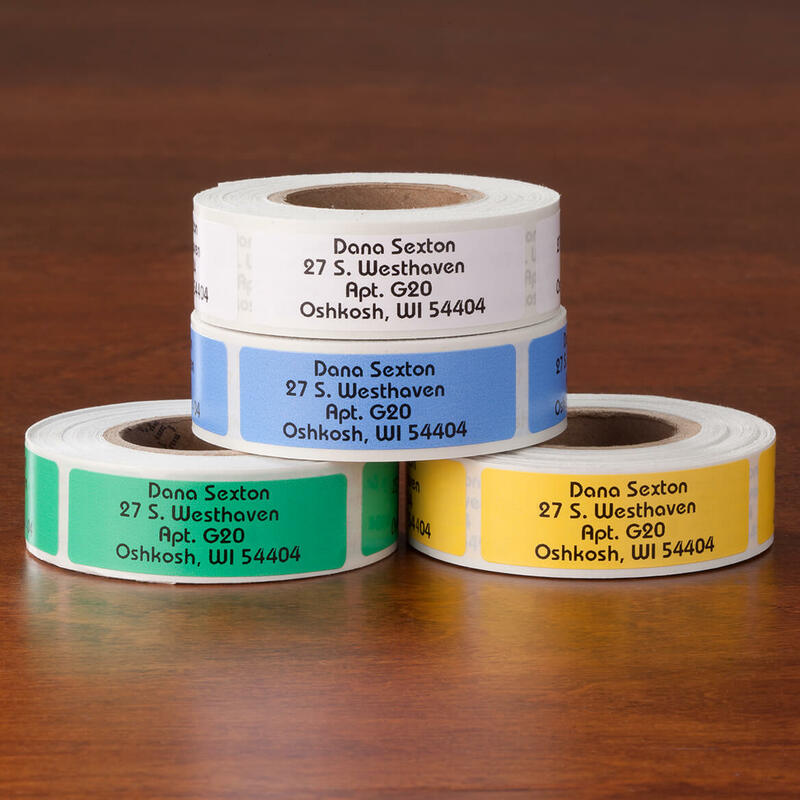 This was my second time to order these labels because they are of good quality. I certainly would buy this again!! We put the address labels on our new egg cartons we purchased, as we sell "home grown" eggs!! I am moving. I want to make sure what is mine, remains mine. 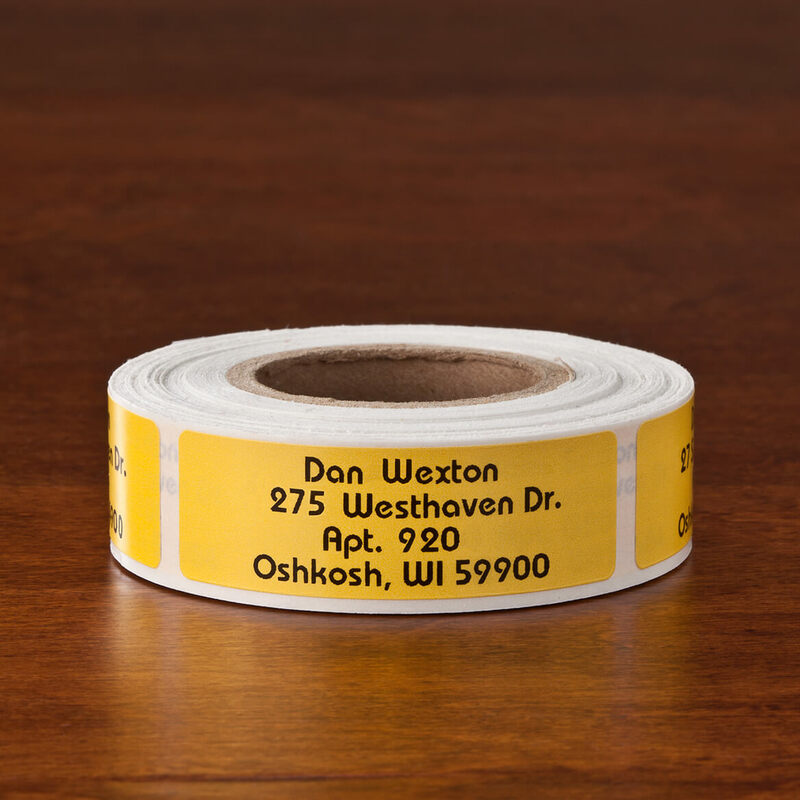 So many of my family have moved and I have ordered these labels for everyone to give to others. I can't even remember how many I have ordered but it is alot! Great!! Good quality and nice large print. Well worth the money! 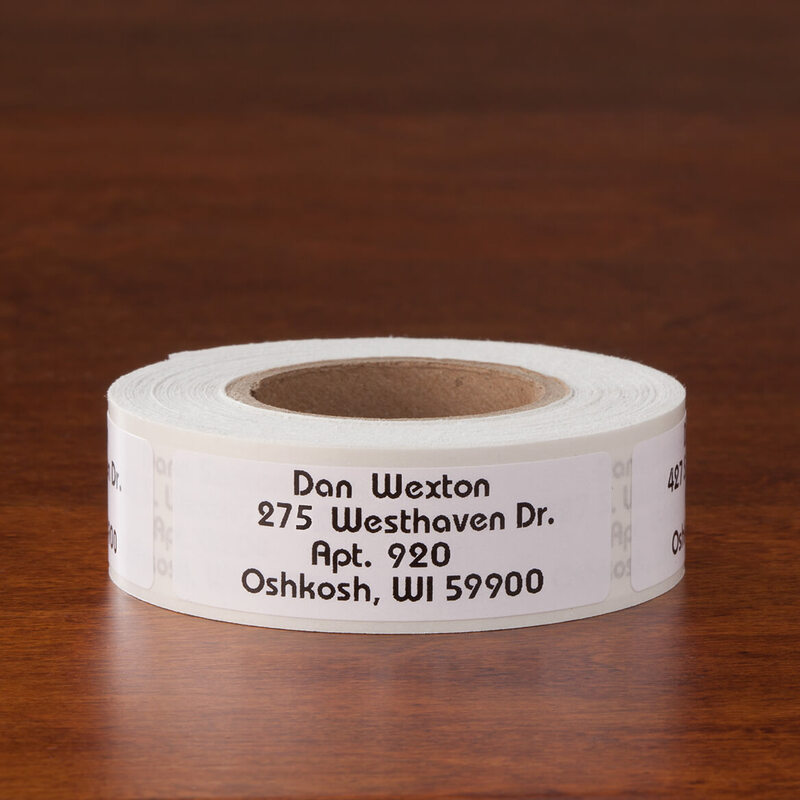 Now we'll have labels for bills and correspondence without having to write the address lines out each time. I ordered these for use on correspondence issued by the local historical committee. Much less expensive than custom envelopes. Very pleased with the address labels. Easy to peel and stick. Nice lettering. Good quality for the price. Will buy again. 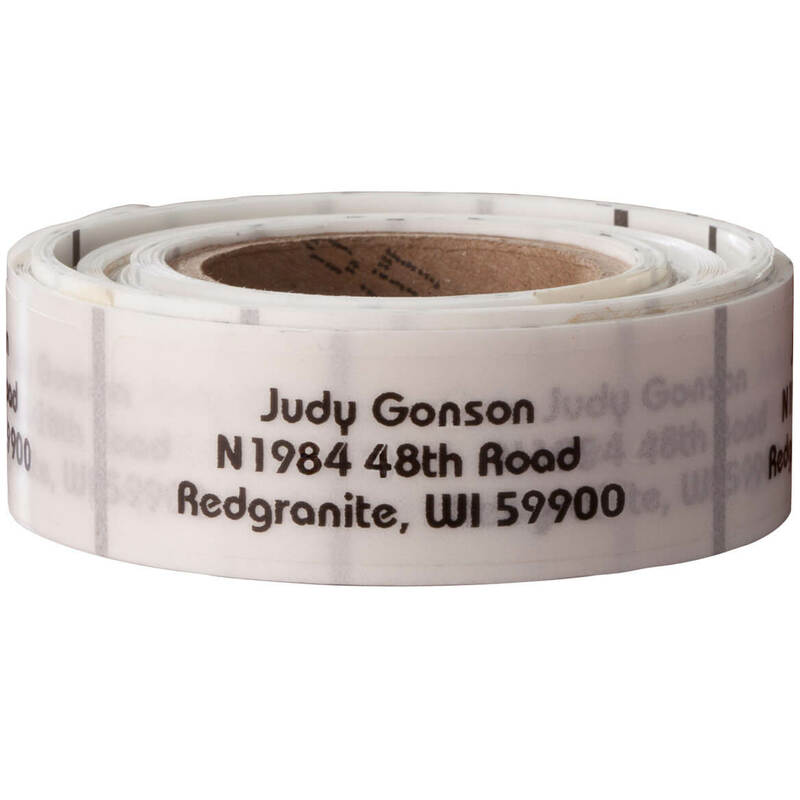 A great price, looks great, can be used for anything you need to put your name on. My kids fight about each and every item and what toy belongs to whom. These labels has stopped the fights. Can't argue with the label!! Also, by color coding the labels, I know which place I can ship items to and which accepts only mail. I really like the bold print on the solid bright colors! Standard, nice-looking address labels with clear lettering. 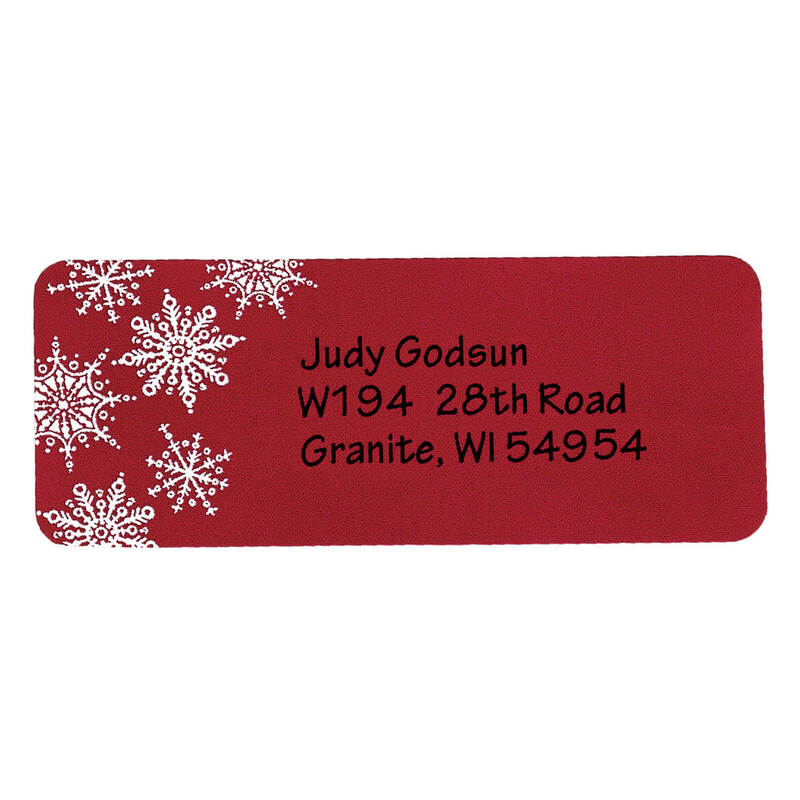 I have previously ordered address labels. The quality of these seems the same, but the size of the type is smaller than previous orders. Still good value. Nice contrast to the black, nice size (not too big.) Not crazy about the font, too rounded. 4 lines available. Labels are fine. Print could be a bit bigger to fit better and be easily seen, but overall I am pleased. I bought these for Christmas cards and heard from several people that they were unable to read my address be caused it had smeared during mailing. 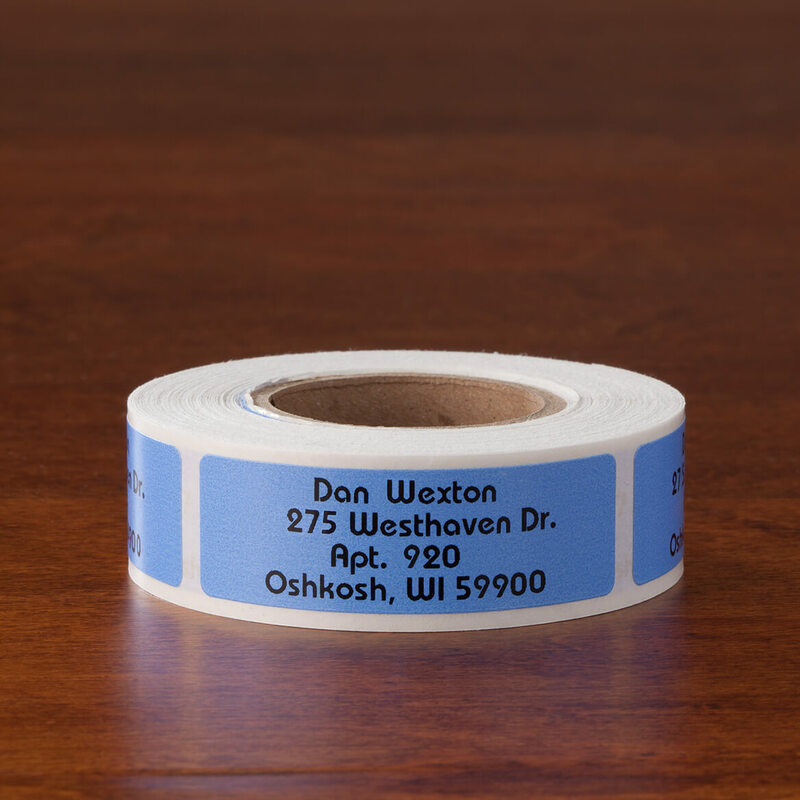 Labels are adequate to suffice as a return address label, but barely readable. Nice color, sticks well to envelopes. Product not preferred as a legible return address label. I was disappointed how the 'A' looks in lower case letters. The lower case 'A' did not turn out like "a". It looks more like an "o" so my last name of Harris looks more like Horris. I will try another company that uses the "a". No one bothered to proof these. I threw them out. Maybe I used too many spaces,don't know. But the point is that the zip code consisted of 3 digits, worthless to me. No one even bother to question 3 digit zip code? We needed address labels. These appear to satisfy our need. Something different. Don't always find a colorful plain background. Was time for a change of what I had. Shopped with Miles Kimball before and always pleased with results. I like what it had to offer. This label, the lettering is really too small and can barely see it, I need a magnifying glass to see this very tiny lettering. i prefer labels that have 5 lines and this was the closest i could get. I could get all my information on the label. Most of the others didn't accomodate it. And the price was right. I wish the final order had confirmed the color of the labels I ordered. I hope I get what I ordered. I NEEDED THEM, LOVE BLUE AND INEXPENSIVE! Good price and simple design. Love these address stickers, sticks well to envelope, print is easy to read. I have used them before and they worked very well. Ran out of the others...needed more! We have gold and needed more, but I just decided on blue this time. Love the color green and I’ve ordered twice before and these stick on easily and look beautiful!!!! The many lines of address and something extra to say. I've never had any problems with this company been doing business with them for years and will continue. 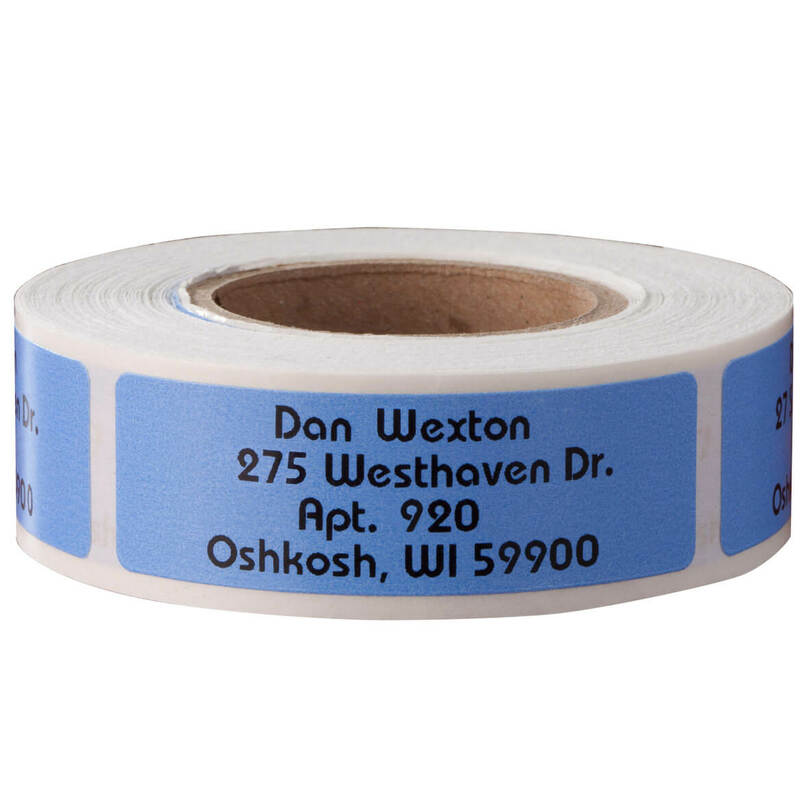 I needed to get labels for my husbands business that gave me enough space and lines to list everything needed and this fit my criteria. Also I chose the bright yellow, which is in his logo. They would stand out on my Avon Books.People would see them better than the clear ones I had used before. I love that there is space for 5 lines! I was able to add my Business Title and a Comment ! 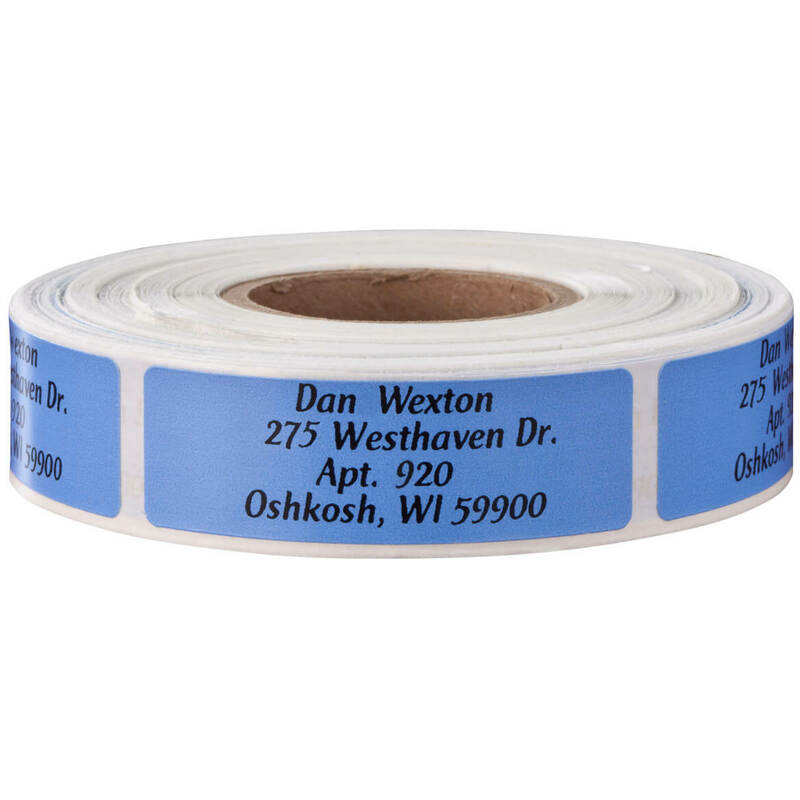 I have 15 left from my last order of address labels and it was time to buy some more. I always buy my labels from Miles Kimball. These labels stick to my egg cartons! Different from current labels, which are silver. 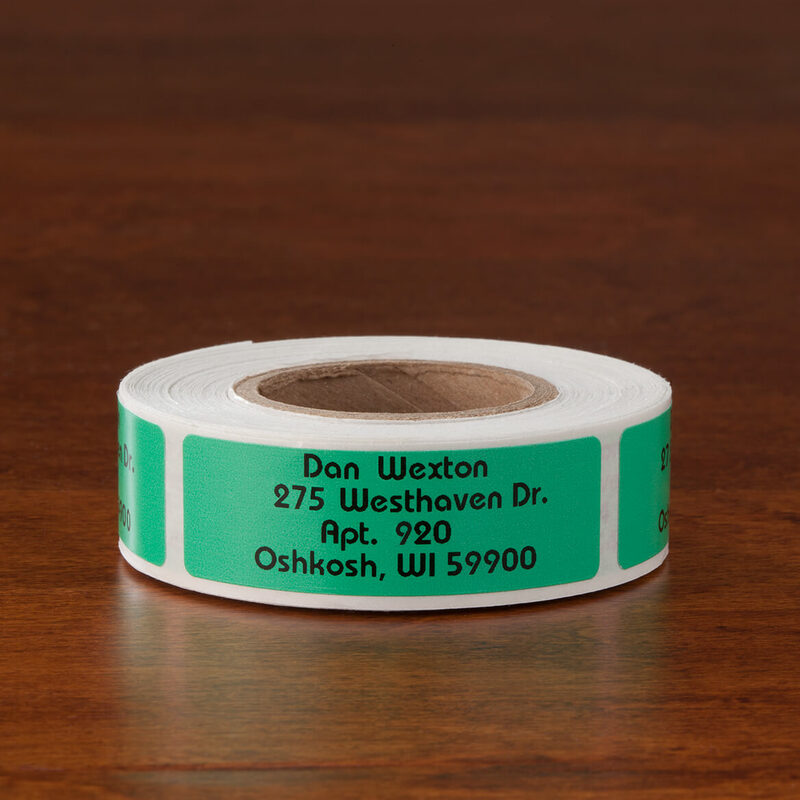 These labels are very convenient and come in handy. Need labels and these look very attractive. will the print be as large as possible to fit? BEST ANSWER: Thank you for your question. The print is as large as shown in the picture. We hope this information will be of help to you. 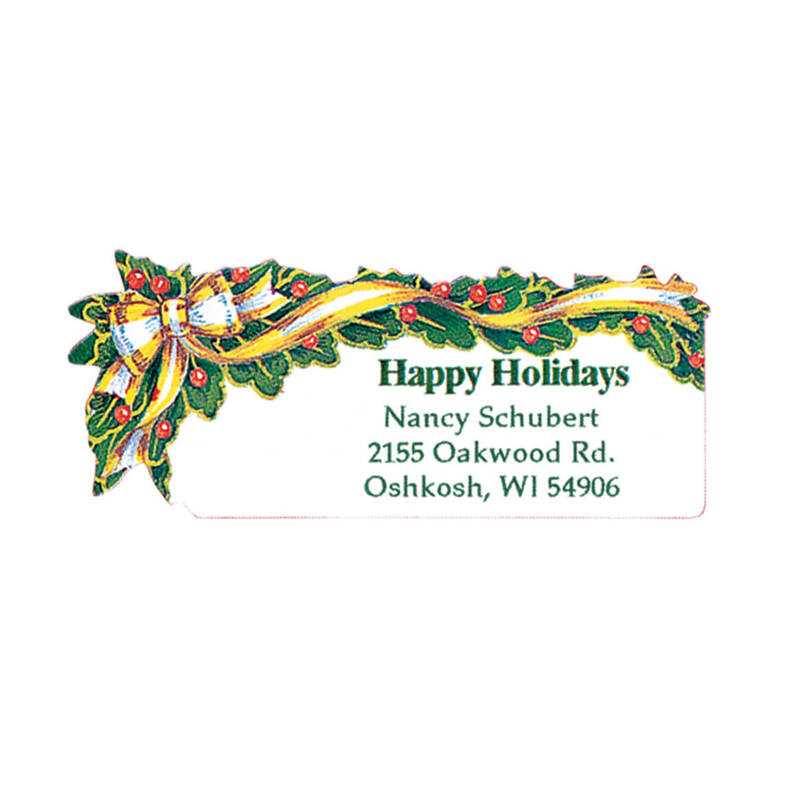 With artful snowflake designs, our large print address labels add charm to your mail. 2 rotating designs. Specify name/address; limit 3 lines, 25 letters/spaces each. Self-stick. Sheeted. 2 1/2" long x 1" wide. 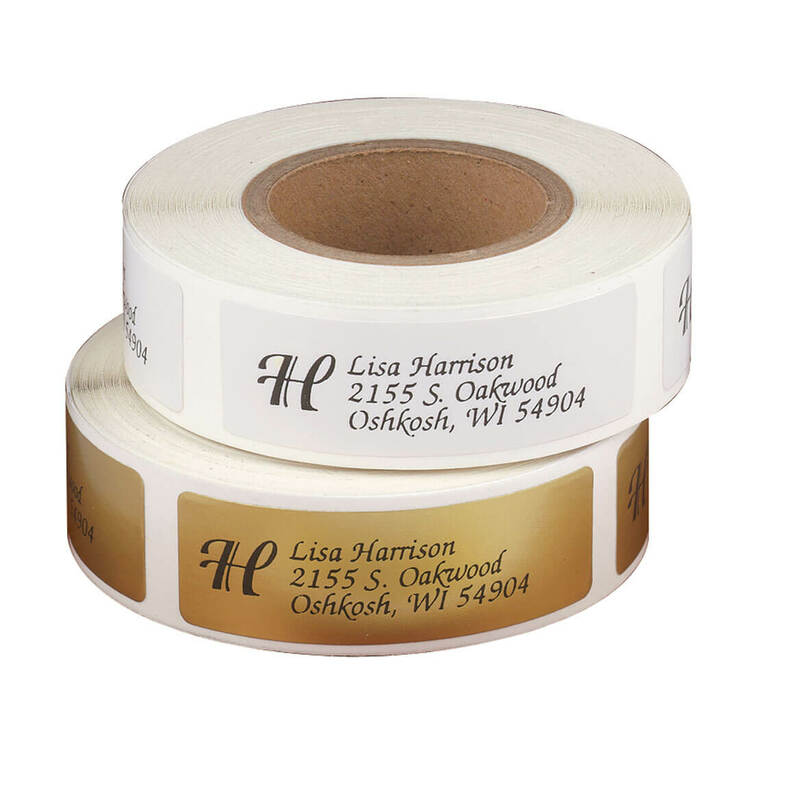 Elegant monogram address labels are personalized with your monogrammed initial in attractive script, just left of your name and mailing address. Please specify name, address, limit 4 lines, 25 letters/spaces per line. 2" long x 5/8" wide. Self stick.